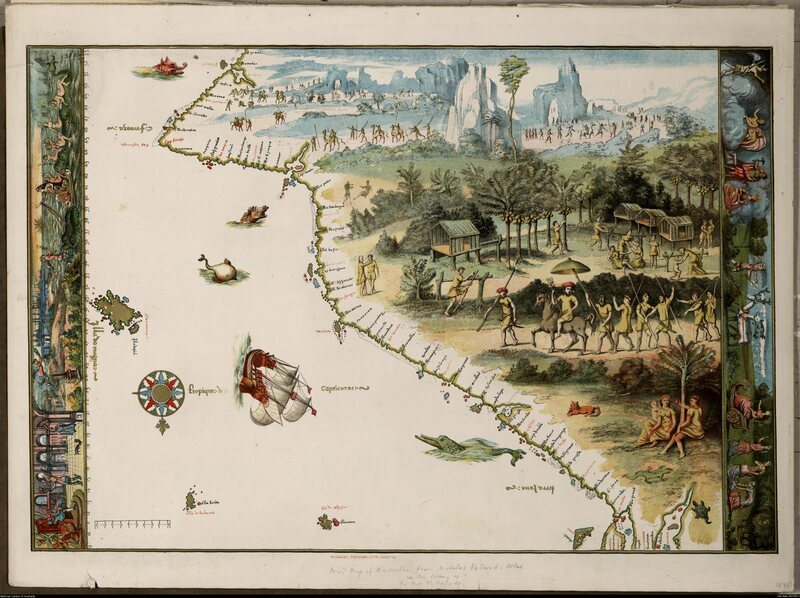 GeoGarage blog: Were Portuguese explorers the first Europeans to find Australia? Were Portuguese explorers the first Europeans to find Australia? Is this the first map of Australia? Jave La Grande's east coast: from Nicholas Vallard's atlas, 1547. This is part of an 1856 copy of one of the Dieppe Maps. Did a secret search for Marco Polo’s islands of gold lead Portuguese explorers to be the first Europeans to discover Australia? According to some theories, the Dieppe maps, a series of artful 16th century maps say yes. 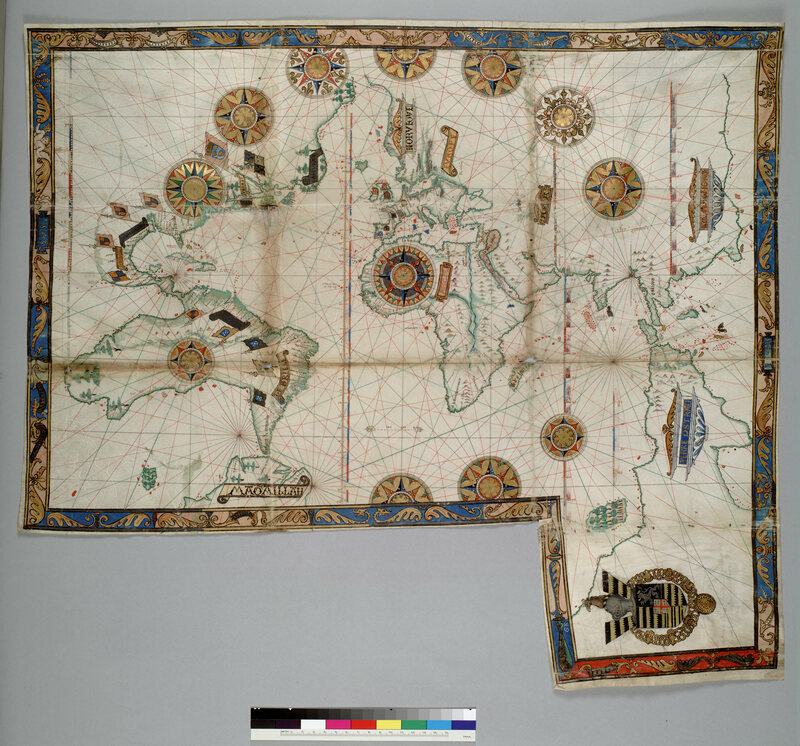 Operating in the mid-1500s, the Dieppe mapmakers created elaborate, hand-made world maps for wealthy patrons and royals. The French artists who created the maps were just that, leaving the actual exploration to others and simply translating more utilitarian nautical charts into things of beauty. The surviving maps are beautifully rendered, although their exact cartographic sources seem to have been lost to time. This becomes most problematic in the case of "Java la Grande", a giant landmass unique to the maps that was drawn between Antarctica and what we would today consider to be Indonesia. According to some modern researchers, this mystery island is actually the first record of Europeans seeing Australia. The map has been inverted to represent the modern view, but Java la Grande can be found where Australia would be. 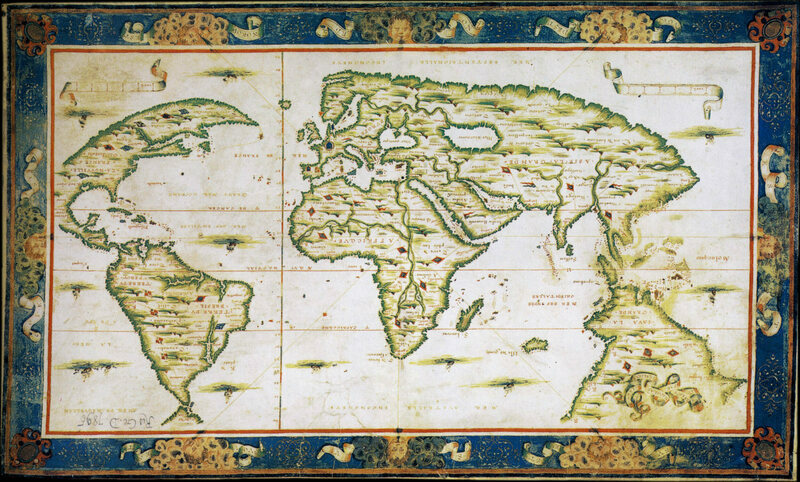 World map of Nicolas Desliens, 1566. The maps, with their fancy compass roses and detailed illustrations, were intended to be pieces of art, rather than navigational aids, but their information had to come from somewhere. The names and script on the charts are written out in a mix of French and Portuguese, giving rise to the theory, which was popularized in Kenneth McIntyre's 1977 book, The Secret Discovery of Australia, that the mapmakers of Dieppe were getting their view of the world, at least in part, from Portuguese expeditions. In particular, one of the maps that came out of Dieppe, (and is survived by a faithful recreation) depicts the east coast of the fabled Java la Grande with place names almost exclusively in Portuguese. Given the vagaries of the Dieppe map sources, this has led to the theory that it was the Portuguese who were the first Europeans to spy the Australian coast. In addition to the general location of Java la Grande on the maps, there are certain features that adherents to the theory claim are unmistakably bits of Australia, such as an inlet that looks like Botany Bay and the Abrolhos island chain. Java la Grande was thought to be so big the map was awkwardly extended. As to what expedition could have seen the coast, it is suggested by McIntyre that it was a search for Marco Polo’s fabled Isles of Gold that led to the discovery. Wealthy Portuguese explorer Cristóvão de Mendonça is recorded as having been tasked by King Manuel with sailing out in search of Polo’s treasure islands, but actual record of this voyage has been lost, if there ever was one. Manuel was notoriously secretive about the findings of his exploration teams. According to popular history, Australia was first visited by Europeans when Dutch explorer Willem Janszoon “discovered” the continent in the early 17th century, and later fully explored by Captain Cook. On the left, first Portuguese chart designed in Dieppe by Jean Rotz in 1542. While no direct evidence of Portuguese discovery exists, there have been other findings that seem to support the theory of their early Australian discovery. Various ruins, cannons, and other archeological artifacts have been found on the Australian continent that believers say point to Portuguese discovery, but the Dieppe maps remains the prime source of speculation.